Lately I've been sharing my desk. Lots of fun, but you quickly end up with a cable mess and running out of plugs. 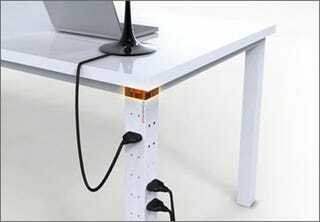 That's why I want someone to convert the RedDot Award-winner PowerPost into a real product.